The so-dubbed Armenian “Velvet Revolution” soon will mark year one. 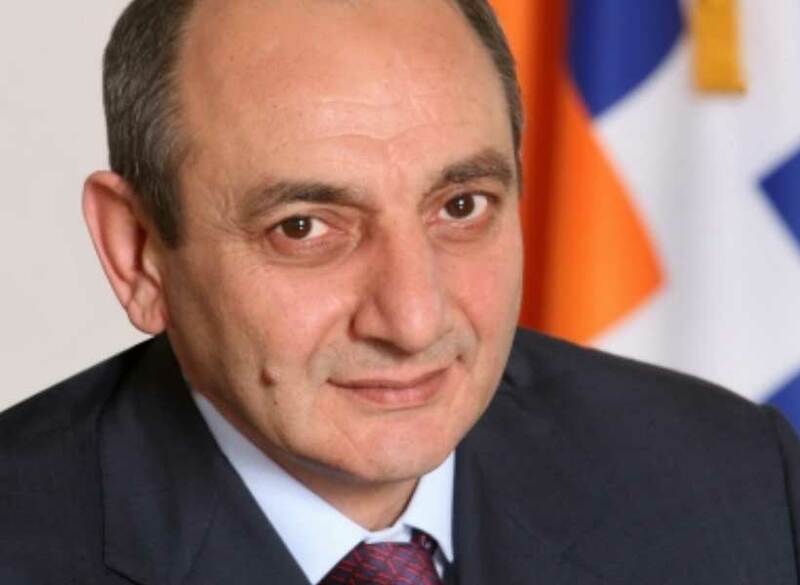 Last April, the professed reformer and democrat, Nicol Pashinyan, took control and the old guard, comprised of modern-day warlords and former Soviet and Russian functionaries, was relegated to guiding events from the annexes. Praise came from European quarters, as did acknowledgements from Armenia’s few stalwart supporters in the U.S. Congress. Yet, the White House and State Department, following a recent visit by National Security Advisor John Bolton, remained highly skeptical. Ambassador Bolton’s position, slightly paraphrased — the South Caucasus is a strategically vital region to the United States. ; Azerbaijan and Georgia are steadfast and reliable U.S. allies; and Armenia remains impotent to join this esteemed club, ceding its sovereignty to Mother Russia. According to Mr. Bolton, key to its success is a peaceful resolution to the Nagorno Karabakh (NK) conflict — the ongoing confrontation between Armenia and Azerbaijan that sees Armenia occupying 25 percent of Azerbaijani territory in the guise of a fictitious and unrecognized “state” — that can transform Armenia and set it upon a path to independence, modernity and prosperity, Prime Minister Nikol Pashinyan’s chief promises. Experts add that the South Caucasus, as a region, can only realize its wide-ranging potential with the full participation of all three nations. Thus specified, Armenia must end the NK war, concurrently step out from its vassal’s shadow and demonstrate conduct indicative of partnership, sans rabble-rousing played for Russia’s benefit at the expense of unwittingly oblivious members of Congress. Following his installation as prime minister and alluring all with promises of renewed negotiations and peace, Mr. Pashinyan embarked upon a worldwide campaign to raise aid money, ostensibly to fund his reforms for a “new” Armenia. Many were ecstatic at the prospect of Armenia’s withdrawal from alliances with Iran and Russia; promises of economic reforms to benefit the poor Armenian populace; the pledge of bona fide elections, a first since independence from the USSR in 1991; and the vow to extricate from Russia’s sphere of influence onto a road congruent with its Western-oriented South Caucasus neighbors. All this and more were on the agenda, including, strikingly, a resolution to the Nagorno Karabakh conflict through good faith negotiations. The conflict plays deeply into Armenia’s story and is both directly and indirectly responsible for Armenia’s lack of development, deep poverty, acute brain drain and, most significantly, Armenia’s profound and entrenched dependence on Russia and Iran. Armenia could mirror its neighbors; oil and gas wealthy Azerbaijan and entrepreneurial Georgia enjoy major economic development — oil and gas pipelines, ports, West/East rail, satellites, tourism, education, modern medicine, science, the arts and a respected and valued place amongst nations. A year hence, little or no progress has been made toward the fulfillment of Mr. Pashinyan’s promises to the Armenian people and the international community. Armenia’s economy experienced incalculably diminutive liberalization or diversification. Russian oligarchs still own the energy sector in its entirety, as well as massive stakes in countless other areas. Conspicuously, Mr. Pashinyan’s first visit abroad, within days of taking office, was to Moscow and followed up upon several times subsequently. Indefensibly, soon after taking office, Mr. Pashinyan opened negotiations with Russia to purchase four 4th generation Su-30SM ‘Flanker-H’ fighter aircraft. Flanker, its NATO designation, is amongst the most advanced fighters in Russia’s inventory. Revealingly, Armenia purchased these fighters at the Kremlin’s “cost,” far less than Russia sells them to any other party. A long-term loan was even provided. The cost was a whopping $140 million USD. Simultaneously, the Kremlin ordered Armenian troops deployed to Syria, under Russian command, allegedly to remove land mines. However, photos of the Armenian detachment showed soldiers in full tactical gear and weaponry. It is suspect that the Flanker is not particularly conducive to such a small geographic footprint as Armenia. There is simply not enough airspace to effectively operate such fighters. A smaller, less expensive fighter would prove more advantageous. Syrian airspace, however, is certainly large enough; it remains to be seen where the fighters are deployed. Of additional concern to the United States is Armenia’s well-earned standing as a “sanction buster.” A $140 million USD purchase of advanced fighters from Russia is certainly cause for deep apprehension. And, what of Iran’s fleet of vintage U.S. F-14 Tomcats? New Russian-made Flankers would make a fine addition to the Iranian Airforce. Armenian politics, policy, diplomacy and economics remain as they were in the hands of supposedly lesser men. Was the Velvet Revolution a charade? The persistent question is whether Mr. Pashinyan intentionally maintains the status quo at the behest of Russia and Iran or if he purely lacks the capacity to lead. Either way, Georgia and Azerbaijan stand next door as examples of what to do to become successful. Prime Minister Pashinyan need only follow their lead. Jacob Kamaras, former editor in chief of the Jewish News Syndicate, is a contributor to the Haym Salomon Center. COULD SREBRENICA GENOCIDE BEEN PREVENTED?